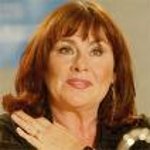 Stating that one in five people in Canada are suffering from mental illness and 80 percent of women in Canadian prisons are suffering from addiction, comedienne and actor Mary Walsh, a mental health and addiction advocate, is wondering if it isn’t time for a mental health grass roots movement. “I guess more people need to start speaking out,” says Walsh. “I always think of the movement when gay people in our society said silence kills back in the 60s, and they said, ’That’s it, we’re coming out of the closet.’ What have they done to shift our thinking? People said a lot of gay people are lawyers, are judges, are theatre directors, and I say yeah, a lot of addicts are all those things. A lot of mentally ill people are all those things.” Walsh managed decades of her own life and career through addiction. She feels that the health care system has turned its back on addiction, something inconceivable in other areas of health, like suddenly cutting back on cardiac care. "Jerome Kennedy used to say that before he became [Newfoundland’s] Minister of Health it was like nobody had ever heard of mental health before, like it had just come up. Surely there must be better ways to deal with people with mental illness besides locking them up in prison.